Foundations’ is our development program for children that have been identified as having a suitable body type, natural coordination and good response to being coached. Foundations’ is the optimum pathway towards competitive gymnastics and is also a great foundation for all sports. Class members are required to continue their enrollment in our recreational GymFun / GymSkills program, with a focus on skill progression and in addition enrol into the Pre-competitive Conditioning class, which focuses on the technical ‘finer points’ of skills, promoting good posture, teaching correct body habits and building physical preparation (strength, flexibility and body tension) it also focuses on developing positive self-esteem, confidence, resilience and determination. Following Foundations’ gymnasts can move into either GymSports Level Program or Competitive Level Program. The Competitive program is in place for children and their families who wish to prioritise gymnastics as a focus, with a long term goal of competing in Australian Level Program 3-6 and then 7-10. As part of this pathway, a high level of commitment is required. Training hours build from 3 hours in level 1 up to 10+ in level 5, further increasing for level 7-10. Competitions, including travel through Far North, North QLD and Central QLD for level 3-6 and Inter-state in level 5-10. Holiday training, club support and fundraising are all an expectation of the program. Gymnasts in the Foundation program focus heavily on physical preparation (strength, flexibility, posture) and learning technically correct basic skills/shaping. As they progress into the Competitive program gymnasts will develop a large ‘vocabulary’ of skills that will be built into high level skills. We offer competitive gymnastics for girls up to Level 8 (ALP).  Members from all programs offered at South Cairns Gymnastics may be invited to enroll in our Competitive Levels Program. Competitive classes are specialised programs that require both the athlete and their parent/guardian to sign a ‘Competitive Program Agreement’. This agreement is in place to ensure families enroll into a program where their commitment aligns with the program expectations. GymSports Levels program has been developed for children who wish to progress through the Australian Levels Program (with a ceiling of level 6) at an individually guided pace. It is recommended that gymnasts enroll into a minimum of two classes of GymSports per week; a minimum of one class is required. All classes are 2 hour sessions. While a level of commitment is required for the gymnasts to continue to progress in gymnastics, most children have the time to participate in other activities/sports. Regional competitions are offered, which also provides the opportunity to level test. Participation is optional. Holiday training is recommended during competition season, however more leniency is given when gymnast do not attend. Club support and club fundraising is expected, however there is little fundraising required to support competitions. Gymnasts progress through the same skills content as the Foundations and Competitive program (that aligns with level 4-6). The ‘vocabulary’ of skills required for level 7-10 is not introduced. Athletes are mentored by highly qualify coaches, who focus on the growth of the ‘whole’ of the athlete, including supporting nutrition, psychology, injury prevention and rehabilitation. Develops posture and confident body movement, including the ability to land safely. Enhances creativity and builds self-confidence, for sport and life.